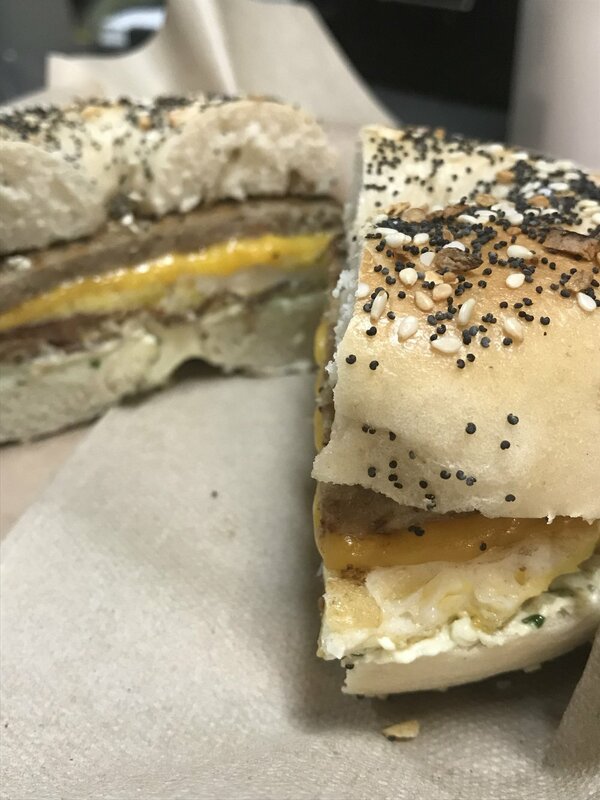 Two meats, egg, and cheese on a bagel. Double up or pick your combo of bacon, sausage and ham. Fully loaded with avocado, microgreens, cucumbers, lettuce, tomato, and onion on a bagel with cream cheese and regular cheese.